In his important book The God of Israel and Christian Theology (Fortress Press, 1996) the theologian R. Kendall Soulen explains how second century responses to anti-Christian Judaism contributed to a distorted understanding of the canonical narrative. By canonical narrative we mean the thread, or overarching narrative that runs through the Bible (sometimes referred to as the Bible’s metanarrative). Establishing the central thread and tracing key biblical themes is a vital aspect of doing biblical theology. The Church’s reaction to anti-Christian Judaism in the second century caused it to emphasise some aspects of the canonical narrative at the expense of others. In short, the New Testament was elevated and the Old Testament relegated. Naturally, this demotion of the Jewish Scriptures also downgraded the theological importance of Israel, which features so prominently in the Old Testament. 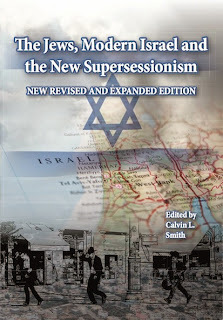 Soulen refers to this relegation of Israel as “structural supercessionism” (supercessionism, also known as replacement theology, is the theological position which argues that the Church has superceded Israel as the people of God). Soulen also identifies other forms of supercessionism (economic and punitive) in his book. A segment of the Church continues to draw on this distorted understanding of the canonical narrative which downplays the theological importance of Israel. Yet Israel is a truly biblical theology theme which is well-represented across both Testaments, receiving more biblical coverage than other important themes (including, for example, creation, baptism, or communion). Israel is mentioned or alluded to some 3000 times in the Bible; God is described as the “God of Israel” about two hundred times; Jesus’ miracles led people to glorify this God of Israel (eg Jn 12:13), while Jesus is described as the “consolation of Israel” (Lk 2:25, 32). Moreover, one-fifth of Romans, that New Testament book so central to Christian theology, is specifically devoted to demonstrating the continued place of ethnic Israel in God’s plans. So what does the Bible have to say about Israel? (2) Briefly, Yahweh is to be their God and the Jews his people. They are a nation before him, and his covenant and dealings with them are perpetual (this notion of a perpetual covenant between God and Israel is repeated several times). This nation of priests is known as God’s servant, and Israel is to be a blessing to the Gentiles. Moreover, in the Apostle Paul’s lengthy discussion of ethnic Israel in Romans he asks, “Has God rejected his people? By no means!” (11:1 ESV). Paul then offers an analogy of Israel as a cultivated olive tree, whereby unbelieving branches are broken off so that Gentile believers (a wild olive) may be grafted in to Israel, not vice versa. His exposition echoes the Old Testament notion of non-Jews coming into covenant with Israel and God and becoming members of the congregation of Israel (and thus to all intents and purposes Israelites). This is typified by Ruth the Moabitess who, leaving her family and people behind, returns to Israel with her mother-in-law to join the congregation of Israel, stating “Your people shall be my people, your God my God” (1:16). In short, the Bible presents Israel (that is, the Jewish people) as God’s historical people which he uses to reveal and bring about his salvific historical plan (i.e. Heilsgeschichte, or salvation history), fulfilled through an historical Jewish Messiah. Given how God has worked through history in this way, how then can God ditch his historical people so cavalierly? Such a position makes little sense in light of the canonical narrative, which makes clear God has not finished with the Jewish people. There are various expressions of the broad theological position which rejects supercessionism and holds to the view that God retains a special plan and place in his heart for the Jewish people. However, some supercessionist writers have sought to parody pro-Israel Christianity as theologically homogenous. For example, they are presented as believing in two peoples of God (the Jews and the Church), holding to two means of salvation (Torah observance for Jews and accepting Christ for the Church, a position known as dual covenantalism which emanated in reaction to the horrors of the Holocaust, predominantly among the historic denominations), and also caricatured as being obsessed with two central issues: the land and the end times. Moreover, pro-Israel Christians are all regarded as Christian Zionists, assumed to be on the political right, and actively engaged in lobbying their governments on behalf of the modern State of Israel. Such views lack nuance and belie the theological complexities of the pro-Israel bloc. The above positions do exist within it, but they are far from embraced by all. Arguably, the majority rejects dual covenantalism, believing rather that God’s plans for Israel are ultimately fulfilled in Christ. Meanwhile, some who challenge supercessionism are not even Zionist, a notable example being R. Kendall Soulen. Thus, it is important to recognise that Christian support for Israel (understood to be the Jewish people) is complex and multifaceted. My own position focuses on and traces the Jewish people as a biblical theology theme, rather than the land. As such, this focus on people not land permits me, theoretically at least, to entertain the possibility of exchanging some land for peace. Pragmatically and politically, however, I believe such a move is wholly unrealistic at the present time, or indeed for the foreseeable future, as the deterioration of the security situation in the wake of Ariel Sharon’s Gaza withdrawal clearly demonstrates. Eschatology (theology of the end times) features strongly among some Christian Zionists (especially in the U.S.) who claim the existence of the modern State of Israel is a sign of the prophetic end times and that Christ’s return is imminent. But there are others within the pro-Israel camp who are far less dogmatic, identifying how the Bible in numerous places indeed indicates how the Jews will be in the land in the end times, but who are nonetheless unconvinced those times are necessarily upon us. By instinct such Christians have sympathy with the view that God has brought the Jewish people back to their homeland in what is the current State of Israel, but they do not hold to this position inflexibly or dogmatically. Meanwhile, many Christian Zionists do not focus solely on the Abrahamic covenant, acknowledging also God’s covenant with Hagar (the mother of Ishmael) and recognising that he has a unique plan for the Arab people also. Finally, several extreme Christian Zionists (especially some well-known preachers in America) read themselves into pivotal roles within biblical prophecy, either believing that Israel’s existence relies on their lobbying on her behalf, or indeed seeking to give God a “helping hand” to bring about and even hasten the parousia (Second Coming of Christ). But other pro-Israel Christians take quite a different “watch and pray” approach, recognising that God’s sovereignty is such that his will and plans will be brought about in his own time, regardless of human activity or agency that assists or opposes him. Thus, attempts to portray the pro-Israel bloc as homogenous lack sophistication and it is important to be aware of such caricatures. In juxtaposition to these caricatures, I want to conclude by making several observations concerning pro-Israel Christians. We have noted how the theme of Israel features strongly within biblical theology. Now it is true some Christian Zionists focus on the land, but as demonstrated, much more important is the theme of Israel (i.e. the Jews) as God’s historical people, a people for whom he still has a plan and purpose. Therefore, for Christians sympathetic to this theological concept it is inevitable that such a position will have a bearing – quite a positive one theologically – on how they view and respond to modern Israel. Regardless of the fact that it is a secular state, or that segments of Israeli society are not Torah observant, or indeed deeply sinful, nonetheless as a collective entity modern Israel is, by definition, a Jewish state, and as such will inevitably be viewed theologically in light of the canonical narrative’s treatment of the Jewish people. Secondly, while some Christian Zionists undeniably take an “Israel right or wrong” position, many pro-Israel Christians regard such a view as untenable (after all, if even biblical Israel sinned it is folly to say modern Israel does not). But there is also considerable frustration at some pro-Palestinian Christians who seem to hold unbendingly and selectively to a similarly untenable “Israel is always wrong” position. Not only is such a view ideologically-driven and disingenuous, it specifically singles out the historical people of God as the primary, indeed in the view of some the only cause of the present conflict. Such a mindset merely contributes to the polarisation of Christian opinion on this issue, making any kind of consensus quite impossible. Also, such a virulent anti-Israel mindset serves to make Jewish evangelism even more of an impossible task by reinforcing enduring Christian anti-Jewish stereotypes. Finally, one must recognise the deeply-entrenched theological nature of this conflict. Apart from Christian Zionist and pro-Palestinian views, together with Judaism’s theological claim to the land, the existence of Israel in what is regarded as Muslim land demonstrates the inherently theological nature of this conflict. It is for this reason that groups such as Hamas and Hezbollah seek a return not to pre-1967 or even to 1948 borders, but rather a redrawn map of the Middle East in which Israel does not feature in any shape or form. As long as this theological reality exists, arguably there can be no solution to the present conflict in the Middle East. 1. I am grateful to my colleague Stephen M. Vantassel for reading through and commenting on the final version of this paper. 2. For a detailed treatment of the contents of this paragraph, see my “Biblical Theology and the Modern State of Israel” in Calvin L. Smith, ed. The Jews, Modern Israel and the New Supercessionism: Resources for Christians (Lampeter: King’s Divinity Press, 2009). 3. In this paper, by “pro-Israel” I mean Christians who reject supercessionism and broadly hold to the view that God has not finished with the Jewish people, rather than a more limited definition referring specifically to Christian Zionists who are strongly supportive of the modern State of Israel. This and the other papers presented at the conference have been published together by Concordis International. My own position focuses on and traces the Jewish people as a biblical theology theme, rather than the land. As such, this focus on people not land permits me, theoretically at least, to entertain the possibility of exchanging some land for peace. So, I am wondering if you think that the current gathering of Jews into Israel the land is not currently fulfilling biblical prophecy? Or are they being gathered in unbelief ready to be judged because of their unbelief? Zec 13:7 "Awake, O sword, against my shepherd, against the man who stands next to me," declares the LORD of hosts. "Strike the shepherd, and the sheep will be scattered; I will turn my hand against the little ones. Zec 13:8 In the whole land, declares the LORD, two thirds shall be cut off and perish, and one third shall be left alive. Zec 13:9 And I will put this third into the fire, and refine them as one refines silver, and test them as gold is tested. They will call upon my name, and I will answer them. I will say, 'They are my people'; and they will say, 'The LORD is my God.'" On a side note in verse 7 the ESV says that God will turn His hand against the little ones... yet in other translations it says "upon" a big difference depending on how you read it. Anyway, I think that the Hand of God is "upon" these little ones, perhaps referring to those who are the true Israel, the remnant. After the fire and persecution/judgement it does say that they will call upon God's name and they will be His people and He will be their God. This is when All Israel will be saved, right? The way I see it, they have been returning to their promised "LAND" for a purpose, not because they deserve it. Hi Vee, thanks for taking the time to comment. You are right to dwell on this issue because the land has featured so strongly in both pro- and anti- Christian Zionist arguments and literature in recent decades. "So, I am wondering if you think that the current gathering of Jews into Israel the land is not currently fulfilling biblical prophecy?" That is exactly what I am asking: Is modern Israel the fulfillment of biblical prophecy? By instinct I think it may well be, but what if it is not? So, I want to challenge you to provide a cast-iron biblical argument to demonstrate categorically that it is. This would be helpful to everyone of all persuasions to consider. Next, you ask: "Or are they being gathered in unbelief ready to be judged because of their unbelief?" Could you elaborate a little more on this? The Zechariah 13 passage is cited in Mark 14 (and parallels) when Jesus' disciples fled prior to the Passion. So couldn't the verses which follow in Zechariah 13 be referring to AD 70? But I think I somehow miss your point as I haven't referred to belief/unbelief, so any additional comment would be most helpful. Eze 37:1 The hand of the LORD was upon me, and he brought me out in the Spirit of the LORD and set me down in the middle of the valley; it was full of bones. Eze 37:2 And he led me around among them, and behold, there were very many on the surface of the valley, and behold, they were very dry. Eze 37:3 And he said to me, "Son of man, can these bones live?" And I answered, "O Lord GOD, you know." Eze 37:4 Then he said to me, "Prophesy over these bones, and say to them, O dry bones, hear the word of the LORD. Eze 37:5 Thus says the Lord GOD to these bones: Behold, I will cause breath to enter you, and you shall live. In that regard, they are still blind until the fullness of Gentiles has happened. Just to clarify I do believe that Zechariah refers to Christ and Him being struck and I understand now that you made it clearer to me that it was the disciples who scattered. Did AD 70 fulfill the two thirds perishing and/or cut off... or was AD 70 a type, a shadow of thing yet to happen? By the way, I hope I made sense in the previous comments.. it's kinda hard juggling a baby's constant needs and getting into the nitty gritty of eschatology at the same time... sometimes I reckon my mind is just flitting here there and everywhere. So, thinking on this a bit more, I do believe that the scripture found in Chapter 13 of Zechariah has been fulfilled but also points to a type of persecution that is yet to come -- when all nations are gathered against Israel before His feet rest on the Mount. Basically, we have not seen Zechariah 14 happen yet. For this prophecy to happen it does suggest that Israel has to be a nation again. While the Arabs dearly desire the whole of the land, their sights are set on Jerusalem. If they have Jerusalem, they have everything. They will never settle for anything else. I, for one, cannot spiritualize away the prophecies, especially Zechariah 12, concerning Jerusalem. I believe there will be hell to pay if Israel compromises Jerusalem. "And as for Ishmael, I have heard thee: behold, I have blessed him, and will make him fruitful, and will multiply him exceedingly; twelve princes shall he beget, and I will make him a great nation. But my covenant will I establish with Isaac" (Gen. 17:20-21). Regarding Ishmael, God has fulfilled his promise to Hagar. It was terrestrial and temporal. Only God’s covenant with Abraham had the eternal implication: “I will bless those who bless you, and whoever curses you I will curse; and all peoples on earth will be blessed through you." This sounds preterist. Cannot it be both? Many of the Old Covenant prophecies have a telescopic nature, with near and distant applications and fulfillments. Great article! I appreciate your endeavor to de-homogenize the pro-Israel camp. I am reading “The Jews, Modern Israel and the New Supercessionism” (slowly) and am planning my first trip to Israel in the spring. Very excited. Many of the Old Covenant prophecies have a telescopic nature, with near and distant applications and fulfillments. It's cyclical, towards a complete fulfillment. Mat 24:16 then let those who are in Judea flee to the mountains. This had already happened, Antiochus conquered Jerusalem. Yet he said it would happen again. Thank you both for what were thoughtful comments. Clearly, Ezekiel 37 and the latter part of Zechariah indeed have eschatological overtones. Both are located in distinctly eschatogical/ apocalyptic sections of both writings. So when I refer to the disciples and also AD70 I am not precluding a later fulfillment. I am both a pretestist and a futurist, meaning I think prophecy is repeated biblical history(this is the cyclically repeated history which Vee referred to). So yes, of course, passages can refer to a contemporary event but then also be 'telescoped' into the eschatological future. I think the passages cited do refer to Israel's eschatological restoration as a people. But the nub of what I am getting at is this: How can we biblically prove those events are what is happening now? For example, if the Bible says Israel is to be exiled and restored once after the return from exile in 539-8 BC (i.e. after Cyrus' decree), this helps to nail down the current return as one which is described in biblical prophecy. But if Scripture does not say anything which precludes the possibility of the Jewish people being exiled and restored to the land several times, then who is to say the eschatological restoration we read about in the Bible is yet to come? This is why I was interested in Vee's comment about belief and unbelief, which I want her to expand upon. Are you referring to a particular passage concerning belief/unbelief which suggests Israel is restored twice, or in two parts, or what? Actually, by instinct I believe God is restoring the Jewish people as cited in the Bible. But it doesn't look like we are there yet. Does all this make sense? Anyway, let's at this stage stick to the nub of my query: how can we be sure today's Israel is the eschatological Israel talked about in the Bible? Sorting this out will help clarify further discussion as (and I'm sure we will) eventually look tangentially at related issues. BTW,Blair, thanks for your comment and hope you enjoy the book. When are you going to Israel? The wonder of grace is that God doesnt cast them off, but continues in love towards them - and finally, as in Zechariah, and as noted by John, they will look on him whom they have pierced, (conviction of sin), mourn for him (repentance), and (Zech 13:1) a fountain will be opened to cleanse them from sin (baptism). That is, as a nation, Israel will be saved just the same way you and I were, but in the sight of all. Their national history shows we cant be saved by our own efforts, that we still fail, that the wages of sin is death, but the free gift of God is eternal life. Onecan imagine redeemed Israel saying, "we are monuments to God's grace - we sinned, rejected Jesus, but his love doesnt know how to quit, in every generation a remnant were saved by faith, and finally all Israel have been saved!" I sin, and Israel tells me God's love is greater than my sin. Thank you for your document. I would like to respond to a couple of points briefly. (I have sent you a copy of my book ‘Zion’s new Name’ which deals with these issues in much greater depth, if you haven’t received it I can resend). You write ‘Paul then offers an analogy of Israel as a cultivated olive tree, whereby unbelieving branches are broken off so that Gentile believers (a wild olive) may be grafted in to Israel, not vice versa.’ I agree with this, but Gentiles are brought into the Church, united with believing Jews, which Paul is saying is formed upon the true Israel rootstock. i.e. from this I can only conclude that Israel is now identifiable as the Church. There seems to me to be a logical inconsistency in seeing on the one hand that gentiles are grafted onto the Israelite rootstock with other branched broken off, and then seeking to say that the branches that were cut off are a legitimate rootstock also – (or perhaps that is not what you are saying). But it seems to me that many Christian Zionists are confused by the Jewish State and saying that the true Israel is made up of those branches that have been broken off, but this then leads to dual covenant theology. Also, seeing the Church as true Israel is about identity with and continuity with Israel, not the replacement of Israel. Of course God has not forgotten completely the remnant of yet unbelieving Jews. In order to understand Romans 9-11 it is necessary to understand the book of Hosea (Paul quoted from it) and other prophets, and in order to understand Hosea, it is important to understand the historical context and blessings that Jacob–Israel spoke over Joseph, Ephraim and Judah (Gen 48-49). Note Judah did not possess the birthright of Israel, Joseph and Ephraim did, but they were scattered in 721BC. According to Hosea, the 10 northern tribes of Israel were to be scattered (they went to Assyria and Media in 721BC), but were promised return in reunion with Judah. Judah would bring forth the Messiah who would restore Israel. This is why Paul could say that in the end all Israel would be saved because Paul saw from Hosea God’s principle of scattering for disobedience, and return for obedience. In the New Testament the disciples were reaching out to scattered Jews, Israelites and gentiles with the gospel of Christ (See Matt 10; Acts 2). I believe God is going to bring the 2/3rds of unbelieving Judah (Zech 13) back into fellowship with true Israel, which Paul saw as being made up of believing Jews, Israelites and gentiles in the body of Christ. However, Judah’s future return would be through faith in their own Messiah; that is the promised ruler coming out of Judah. But the Jews do not have the birthright of Israel, and cannot form a legitimate State of Israel in God’s sight apart from being in union with the other Israelites who do have that birthright. I share your view that the Jewish people should be our focus for evangelism, not engaging in uncritical political support for the State of Israel. But it seems to me that there is a blindness that is caused by an excessive love for the State of Israel, which misses who Israel really is. Undoubtedly the State of Israel is Jewish, but Judah is not all of Israel and does not possess a national birthright before God outside of Christ. Andrew, thanks for your comment. You raise various issues and it is difficult to respond satisfactorily to each point in one go. On this blog I really want to encourage people to raise one issue at a time, so that the debate can run its course and secure some depth, rather than me simply offering short and wholly unsatisfactory one-sentence replies to various points. Such a policy also ensures contributors invest a similar amount of time and effort as myself. So in this instance I’ll respond to your overarching point and you can then counter-respond to any one of them. We can always come back to the others when our exploration of a particular point has run its natural course. The blogger programme does not allow for lengthy responses so I’ll have to respond in several comments. I do not agree with you that “Israel is the identifiable Church”, as if God’s historical people have somehow been subsumed in all but name. Semantically, this is the same as supercessionism. Rather, I am saying Gentile believers join present Israel (the people, not the modern state of Israel), not create a new Israel. I suppose it would be helpful at this stage to attempt to define Israel. Throughout Romans 9-11 Paul is referring to ethnic Jews (most commentators now concede this, including those who take a supercessionist line – very few biblical scholars say otherwise). So clearly, in Romans 9-11 Paul means the Jewish people. Neither do I think he only refers to believing (ie saved) Jews, as the whole thrust of his diatribe in Romans 9-11 is to determine what happens to his countrymen who are not saved. (After all, it is his observation in Romans 8:38-9 that nothing can separate us from the love of God which leads him to ask if this is the case, then what about God’s historic people whom He loved? Thus he launches into the Romans 9-11 parenthetical section). So Romans 9-11 is not just about believing Jews, but unbelieving Israel as a whole, who will one day be saved (Ro 11:11-12, 25). God’s dealings with His historic people as a whole have not ended. God still loves them – the nation as a whole – not just the believing ones (11:28-30). So when Paul says we are grafted in to Israel, I suggest he means, firstly, that as adopted sons Gentile Christians are now included in the promises and rights originally given to God’s historical people. Thus God’s promise to Abraham is fulfilled: “in you all the nations of the world will be blessed” (Gen 12:3). Moreover, if God has granted Gentile Christians the right of adoption, I find it hard to believe the original sons (His historic people) are ditched. Secondly, we are grafted on to God’s historic people. But that is not to say that we are grafted into the entire Jewish people, because of course “not all who are descended from Israel are Israel” (9:6). Throughout Israel’s history there have always been Jews who have rebelled against God (the OT is full of such instances). So I do not say the Church joins the entire Jewish people. That is why in my biblical theology chapter of my book I differentiate between the house of Israel (the nation as a whole which God continues to have dealings with) from individual Jews. In short, it is important to differentiate between Israel as a corporate entity (God’s historic people as a whole) and individual Jews. Such a position rectifies Christian Zionist extremes which view all Jews as somehow saved (this is indeed dual covenantalism, as well as leading to an attitude which suggests Jews can do no wrong). So, we are adopted sons who are grafted on to Israel’s promises, and indeed to the Jewish people as a whole who will receive God’s salvation eschatologically. By “all Israel” (11:25) Paul means the nation as a whole, not every single Jew (see Andy Cheung’s useful discussion in my book about what “all Israel” means cf 2 Sam 16:22... “all Israel” here doesn’t mean every single Jew witnessed Absalom’s act, rather, the nation as a whole witnessed it). The remnant beings saved now is something quite different. Paul says these are those Jews being saved “at the present time” (11:5). In this final chapter and part of his discussion Paul juxtaposes a remnant being saved now with a salvation of corporate Israel in the future. I think the above rather lengthy and meandering response answers your query about the inconsistency of some who claim branches broken off are legitimate rootstock: my reply (as stated above) is that not every single Jew will be saved. But having said that, I would point out the possible inconsistency of your own statement in light of Romans 11:23 in which Paul seems to suggest that the unbelieving branches can (and indeed possibly will, in light of how he concludes his discussion) be saved. Concerning your differentiation between Judah and Israel, with the greatest respect I think this is somewhat of a red herring. There are no lost ten tribes (if this is what you are getting at; please forgive me if I have misunderstood your comment). A careful study of the places of origin of the exiles returning with Zerubbabel as listed in Ezra’s census indicates that all the tribes (with the exception, if I recall correctly, of Dan) are represented among the Jews returning to Jerusalem. Meanwhile, Jews today recognize they are a mix of all the tribes, not just Judah and Benjamin. So I believe your statement that “the Jews do not have the birthright of Israel, and cannot form a legitimate State of Israel in God’s sight apart from being in union with the other Israelites who do have that birthright” is a moot point. But I might be reading more into your statement than is you intended. I am away at a conference right now and so cannot check to see if indeed this is a point you make in your book. Finally, yes, I received a copy of your book (thank you). I haven’t read it yet, but having scanned one section which caught my eye in which you discuss the extent to which Jewish Eastern European are actually true Jews, I must confess this tainted my perception of the objectivity of your book. This is because such views are, of course, promulgated by certain Palestinian Christians who, deeply antithetical to the Jewish state, claim to be the true and original ethnic Jews and that Israelis are not Jews after all. I love to engage with objective approaches – both from allies and worthy adversaries – who do not permit ideology to drive their arguments, and it is for this reason I can quite happily critique Christian Zionist arguments which lack nuance or are hermeneutically weak. So I was put off by the suggestion, promulgated elsewhere for ideological reasons, that today’s Jews are somehow not Jewish (in the OT there was, of course, an ethnic dimension to Jewishness, but it was much more than this, incorporating religious, cultural and traditional dimensions too, hence my reference in the original paper posted on this blog to Ruth and the myriad of other Gentiles who came into covenant with the congregation of Israel and became, to all intents and purposes, Jews). But again, if I have misunderstood your position I apologise and would strongly encourage you to respond, as I do think this is an important issue. Perhaps the ethnicity issue and how this has a bearing on this topic as a whole could be the starting point for future discussion here. Thankyou for your response. My book does deal with the issues in greater depth, and perhaps a blog entry is too short as you say. As a PhD student of theology I am taught to ask pertinent questions in order to seek truth objectively, not to be dismissive of ideas. In the chapter you raise I conclude that even though Jews may be inter-married with east Europeans, that doesn't stop them being ethnically Jewish. I would urge you to read the book if you have time, and consider all the arguments in total. I don't think that the return of northern Israel took place with Ezra for a number of reasons. The OT prophets linked the return of the 10 Israelite tribes to the coming Messiah Jesus, not to Ezra. In Ezekiel ch4 the northern house of Israel would 'pay' for its sin for 390 years, that is from 721BC to 331BC when Alexander the Great released them from their slave masters. It is also after the return of the Jews under Ezra. Ezekiel ch4 has Judah's punishment lasting only 40 years. I also have difficulty with the idea that God might lose 10 tribes of Israel in light of Abraham's promise, and Jacob-Israel's blessing over Joseph and Ephraim, and in light of Paul's statement that all Israel will be saved. If the 10 tribes are really lost, what hope is there for Judah? And isn't it also a replacement argument, that Judah has replaced the 10 tribes? I have simply argued, mainly from reading the OT prophets, that many of the Israelites returned to God in the Messiah. They are no longer lost, but many were brought into the church by the Jewish disciples. Even if now Zion has a 'new name' (Isaiah 62 1-5) I argue that the Church is ethnically linked to both Israel and Judah - and Gentiles are grafted into the true israelite root. (I want to stress I have little interest in British Israelitism because it is too anglo-centric). Although I recognise my approach may be controversial I am simply asking people to consider these ideas in light of what I believe Scripture and history tells us. Finally I believe that God will bring the remnant of rebellious Judah back into Christ because of the message of Hosea (even though Hosea is primarily about the Assyrian exile of northern Israel). But if God has brought Israel back after many years of being scattered, he can soon bring rebellious Judah back spiritully into his fold in the Messiah Jesus. OK, so which issue do you want to tackle first? I’ll start with Romans 9-11 and how I think it stems from Hosea if I may. Paul quotes Hosea in (Rom.9:25-27) “…I will call them 'my people' who are not my people; and I will call her 'my loved one' who is not my loved one, and, It will happen that in the very place where it was said to them,' You are not my people,' they will be called 'sons of the living God' (Hos. 1:10, Hos 2:23). Firstly the context. I agree with David Pawson about the reason Paul wrote Romans, it was to unite Jews and Gentile believers because the mainly gentile church was not welcoming of Jews (although that is not a complete picture). So Paul uses Hosea to seek to build understanding about Jews amongst Gentiles. So in order to understand Romans 9-11 we need to study Hosea. The problem though is that Hosea is not primarily about Jews at all, but about the northern Israelites. This complicates the picture, but opens up understanding of God’s purposes through Israel. This is an overview of Hosea. Hosea is told that God will break and scatter the northern Kingdom of Israel. While Israel would no longer find love, the kingdom of Judah would. At this time God had divorced Israel, but not Judah. However, the Israelites would become as numerous as the sand on the seashore (Hos 1:4-9; Hos 2:2-7) (as promised of Abraham’s seed). Later God says that Israel and Judah would one day be reunited under the Messiah (Hos 1:1-11; Hos 3:4-5) and Israel would be remarried under a new covenant (Hos 2:14-20). So that is the basis of the message of Hosea, but Paul is applying a principle out of this to Judah, (and also to Israel). Just as northern Israel had been sent away, and was now being brought back into union with Judah under the Messiah, so those Jews who had now rejected Christ would one day be brought back because of God’s love to have mercy on all. And God would continue to reach out to those scattered Israelites who had been sent away (see Matt 10:23). Note also in Zechariah there is first promise of reunion between Judah and Israel (Zech 10:6), and then further division (Zech 13:7-8) with 2/3rds falling into further judgement. Andrew, perhaps I’m missing something or am not very bright, but looking through your posts I must confess to being somewhat lost. Your argument appears convoluted in places, while there seems to be some hermeneutical inconsistency. For example, you do not accurately define some terms which are used repeatedly, sometimes with different meanings, throughout the Bible texts. In short, isn’t there a danger of exhibiting illegitimate semantic totality transfer (see DA Carson, Exegetical Fallacies)? You also lay great store on a single quotation from Hosea to explain the whole of Romans 9-11. Paul also quoted many other Scriptures, and the Hosea quotation he cites merely demonstrates Gentiles are included in the promise. You also string together seemingly unrelated passages (or fail to explain clearly why they are indeed related). Indeed, you seem to mirror the very hyper-dispensationalist hermeneutic I presume you disagree with. How does your PhD supervisor respond to your particular hermeneutical methodology? There are also several presuppositions which need proving, eg that the 10 northern tribes were lost. How do you know, or that they never returned? I also do not understand the view that Christians are somehow ethnically Jewish. (There does some to be an element of British Israelitism here, minus the Anglo aspect, as you concede). So how are Christians ethnically Jewish? For example, are Chinese Christians Jews, or are North American Indians Jews? Conversely, if Christians are ethnically Israelites, what is the ethnic status of non-Christian non-Jews? And what happens when they become saved? Do they become ethnic Jews? You say your views are controversial. They may well be, it is just that, as far as I can tell, they don't seem very clear. Dear Calvin; it really is not easy building a case on an internet blog. The arguments I am presenting require evidence from Abraham, Jacob-Israel, through historical Israel, united, divided and exiled, and through the prophets and New Testament. My hermeneutic is to take seriously the need for literal interpretations of the prophets, and not simply to allegorise or spiritualise Israel’s promises and apply them to the church as some supercessionists have done. I take a similar approach in the science faith dialogue; that we cannot just allegorise Genesis until it has no literal meaning. Theology is revealed through significant material events as I think one of the contributors Jacob Pracsh writes in your book. My disagreement with Christian Zionists is that they have not understood the history of Old Testament Israel sufficiently. Therefore promises made by the prophets to exiled northern Israel, and wrongly applied to Judah today. In my book I seek to show, by studying all the prophets, that there is a consistent message that northern Israel (i.e. esp. Joseph and Ephraim) were not forgotten by God. I therefore believe that most of the Old Testament prophecies relating to Israel were fulfilled, both spiritually and literally, in and through Christ. I have said that the Church is built on an ethnic Jewish and Israelite base; clearly not all Christians are ethnically Jewish, but the Church as the body of Christ is. Incidentally T.F.Torrance believed he had found a lost tribe of Israel in China. Perhaps if you wish to continue dialogue it would be best to use email. I am contactable at a.m.sibley(at)btinternet.com . If you do have time to read the book it would be very helpful. I am well aware that I need to develop my arguments further into an 80,000 odd word thesis and any feedback would be appreciated and very useful towards this. Andrew, I agree holding lengthy discussions via blog can be difficult. I’m back home now and have access to your book. How would you feel about me offering an academic review of it here? You can counter-respond if you like. Concerning feedback as you go about prepare a doctoral thesis, I’d be happy to help if I can. In the first instance I’d say that although debates by blog/email can indeed be tedious, it’s really important to be able to state your thesis clearly and concisely at the micro level before having to defend it in a viva at a macro level. After all, if your thesis takes off you might be invited to various venues and expected to state your argument(s) concisely according to the medium and audience (eg churches, conferences, radio). Also, your hermeneutical method will be explored mercilessly by examiners at the final doctoral stage, so be prepared for this. (This is why I asked how your PhD supervisor had responded to your current work and hermeneutical method. BTW, who is your supervisor?). Even sympathetic examiners will demand coherence, knowing their reputation might be questioned if they were less than robust. (Actually, when discussing prospective examiners with your supervisor try to identify genuinely objective scholars who nonetheless might disagree with you, as passing the viva in such circumstances will be academically beneficial). Finally, be prepared to deal comprehensively and persuasively with any controversies you promulgate, including the questions I raised in my last post, as these will inevitably be seized upon. In fairness, you may already do so in your book, and again I am happy to review it here if you think this appropriate. If you want to continue contact in private my email details are on my KEDS faculty page. Best of luck with the thesis. Dear Calvin; Thanks for your advice. My PhD research is actually to do with the intelligent design arguments and covers science, philosophy and theology, but is being studied within the theology department at Exeter uni. I'm currently seeking to upgrade from the MPhil to the PhD. My supervisor is Chris Southgate - he has stressed I should use material from leading publishers. However, it is my intention to write up my studies on Israel to academic standards as time allows as well. By all means if you wish to write a review please feel free, and I'll respond if necessary. Critical reviews can add to the depth and therefore quality of research. Trying to understand the nature of Jewishness is an important question to try and get right so any further thoughts in that area might be useful. It is not just a religion, nor just an ethnic group, but something more, perhaps encompassing both aspects, which I think raises questions for the church about its Jewishness. I have spoken to Howard Taylor about this, and it could do with much greater thought. "Anyway, let's at this stage stick to the nub of my query: how can we be sure today's Israel is the eschatological Israel talked about in the Bible? Sorting this out will help clarify further discussion as (and I'm sure we will) eventually look tangentially at related issues. Amo 9:15 And I will plant them upon their land, and they shall no more be pulled up out of their land which I have given them ,says the LORD your God. I am not a theologian but just a hungry lamb :) so please excuse my ignorance if this is a poor interpretation, but to me this would seem to provide some support that the present State of Israel is part of God’s outworking of His divine plan for Israel, not to mention the World! …with reference to being grafted in to the cultivated Olive Tree; could it not be that the reference is not to Israel, or even Abraham as, I think, Arnold Fruchtenbaum suggest, but the source of Life and Blessing Himself; the Messiah? Just a few thoughts; thanks for taking the time to read them. Bless you. This just my point of view and probably too simplistic for some but the way I see it is that after signing and sealing the Abrahamic Covenant in Genesis 15 God clearly declared the boundaries of the land that they were to possess and later re-confirmed that covenant to Isaac and Jacob. On another level, having visited Israel and also having had experience working with young Jewish Israelis who are abroad my husband and I are deeply saddened by their sense of emptiness and despair at finding themselves in a rolling sea of mystic Kabala opinion and/or Rabbinical Judaism that Moses himself would reject on one hand and corrupt, immoral political leadership (not unlike the rest of the world) on the other. Many young Israelis reject it all and seek other destructive experiences, mistrusting all else. We simply have to regard their covenant and look at these dear, dear people and know the time has not yet come in fullness. Thank you and I hope I haven't digressed.